One of my best customers always refers to De Grasse as CGT’s “spunky” ship. 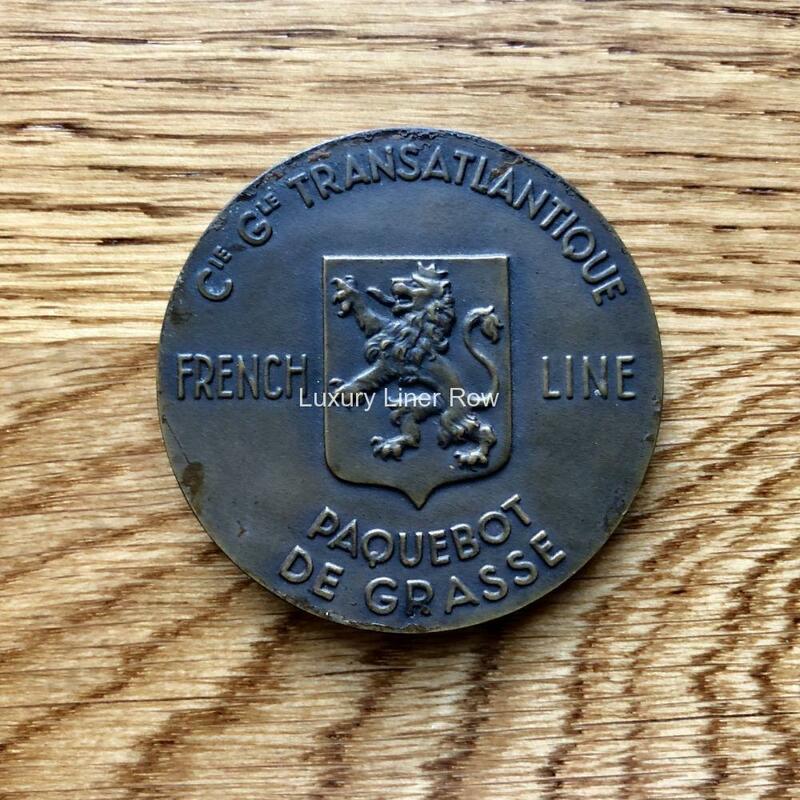 What he means is that she was built as an intermediate liner in the 1920’s, but after the war, she alone carried the French flag and reestablished French Line service to New York for two lonely years until the Ile returned to service in 1949. 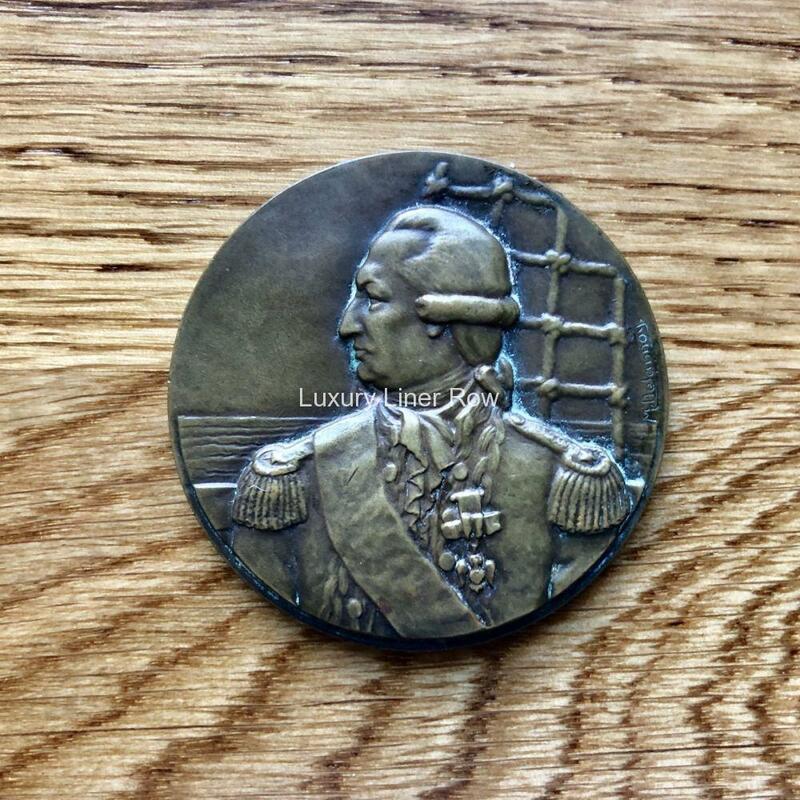 Connoisseurs of French Line medallions (among which I count myself) know that the few ships that did pre- and post-war service had two medallions made for them. 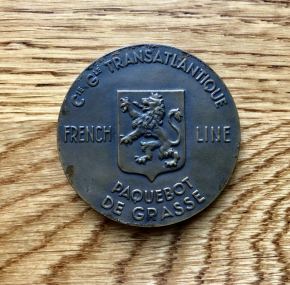 This is De Grasse’s post-war medal. Highly sought-after and in good condition with some slight roughness at edges but reflected in the price. 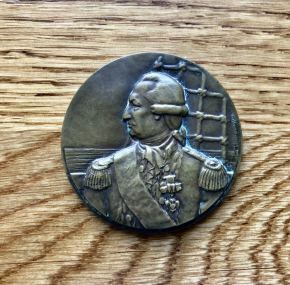 Designed by M. Delannoy.